Did you know that most road brake calipers come with a quick release lever? This quick release lever is used to open up the brake caliper temporarily, allowing the wider tire to pass between the brake pads. With this feature, a quick wheel change or removal is possible without deflating the tire or inner tube. However, there are some cases whereby even with the quick release lever opened up, the brake caliper still does not open wide enough for the tire to pass through. This usually happens when the tires are wider than normal, or if the brake pad clearance to the rim is small. In this case, it will be very troublesome to remove the wheel as the tire will need to be deflated and then re-inflated. Also, with the introduction of the Shimano direct mount road brake calipers, there is no quick release lever on the rear brake caliper which mounts under the bottom bracket. In this case, it is necessary to install a separate quick release if the wheel needs to be removed quickly. 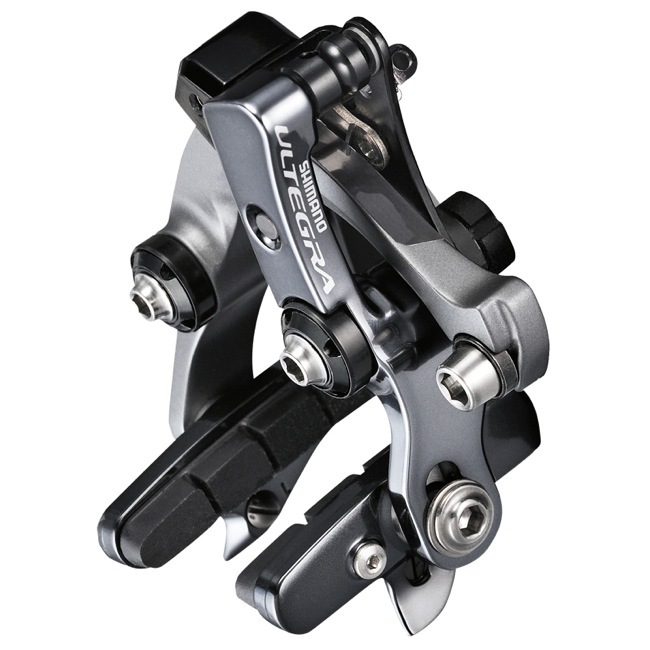 Shimano Ultegra Direct Mount Rear Caliper Brake BR-6810. No quick release lever on the brake. In my case, the front wheel of the Merida Scultura 5000 road bike cannot be removed quickly as the brake caliper does not open up wide enough to clear the 25C Schwalbe One tires on Ultegra 6800 wheels. Curiously, there is no such issue with the rear wheel as it can come out easily when the rear brake caliper is opened. To solve this issue, I decided to install a separate brake caliper adjuster, which is originally designed for use with Direct Mount brakes. This is the Shimano SM-CB90 Brake Cable Adjuster, which opens up to give more slack to the brake cable, allowing the brake pads to open up wider. Note that this device was actually installed before I changed to Dura-Ace brake calipers, hence the Ultegra brake calipers shown in the pictures. Shimano SM-CB90 Brake Cable Adjuster. 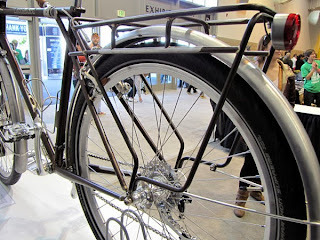 Comes with a lever to lock or loosen the brake cable, and also a barrel adjuster. It works by allowing the brake outer casing to move inwards when the lever is opened, creating more slack in the brake cable and thus brake caliper. This brake cable adjuster is installed inline with the brake cable outer casing. This also means that the outer casing needs to be split at some point, and the brake cable adjuster installed in between. The brake cable is still the same and passes through the brake cable adjuster. By flipping the lever to the closed position, the brake outer casing will be locked at the end during normal operation. Flipping it to the open position will allow the brake outer casing to move inwards and create slack in the brake inner cable. In the locked position, with the lever flipped downwards to lock the brake outer casing at the end for normal operation. In the opened position, with the lever flipped upwards to give some slack to the brake inner cable. The quick release lever on the brake caliper is also opened up. Now there is sufficient clearance between the tire and brake pads! By opening up both the quick release on the brake caliper and also the lever on the brake cable adjuster, the total slack in the brake cable is sufficient for the front wheel to be removed easily. 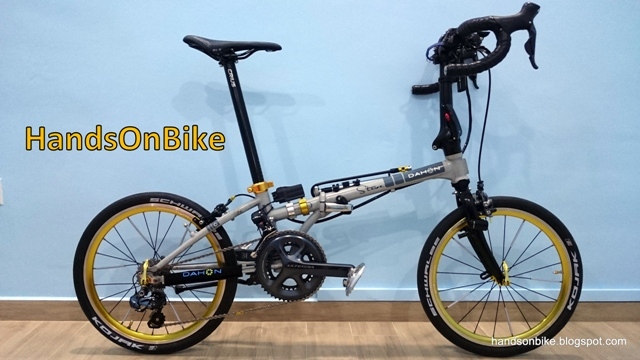 Installation of this device is quick and easy, and it makes it more convenient to remove the wheel during transportation of the bike. It does not really affect the braking feeling as it is very rigid, and acts just like another section of outer casing. During installation, it is necessary to find a suitable section of the outer casing to install on, for convenient usage and also to prevent the device from hitting and scratching the frame over bumpy roads. Purchased one of these to use with a set of Tektro 926 v-brakes that I just installed on my cyclocross bike. Every time I wanted to remove the front wheel (to put the bike in my car) I had to loosen the inline Jagwire adjuster, and then re-tighten it when I put the wheel back. Now, with the Shimano inline quick release it is super easy and it works great! There was a comment that the adjuster was difficult to turn. I thought that as well initially until I figured out that you actually rotate the adjuster body rather than the housing stop. It's super easy to adjust plus there's enough take-up built into the quick release that once I have the proper cable tension I don't even need to fiddle with it. Simply open/close the quick release lever and I'm ready to go. The only negative, is that it's a bit on the heavy side but the functionality more than makes up for this IMO. Not sure why more companies don't make something like this. This is the ONLY inline quick release cable adjuster I could find.